EgyptAir is the national airline carrier of Egypt. The Cairo based airline company is wholly owned by EgyptAir Holding Company which is under the Egyptian Government. EgyptAir operates scheduled flight services to 70 cities throughout Europe, Africa, the Middle East, the Far East, the USA, and Canada. 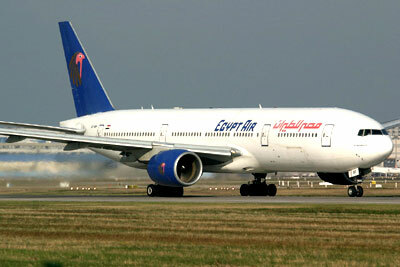 The airline company also serves domestic flights within Egypt. Founded in 1932 as as Misr Airwork, EgyptAir operates from its primary hub in Cairo International Airport and it is also member of the Arab Air Carriers Organization. With 48 aircraft being mostly Airbus and Boeing types, EgyptAir is considered to be Africa's second-largest airline carrier and is going to be member of the Star Alliance in the nearby future. EgyptAir Express and Air Sinai are both subsidiary airlines wholly owned by EgyptAir . The airline company holds a large 40% share in Air Cairo and another 20% share in Smart Aviation Company. In 2006, EgyptAir Supplementary Industries Company and in 2007, EgyptAir Express, the subsidiary airline company to EgyptAir was formed. 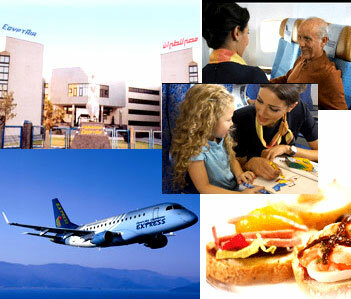 EgyptAir serves both domestic and international flight services. The table below shows all the cities covered by the Egyptian airlines company.